Face it: Snow is a pain. It is difficult to predict, and people affected by it do not care about the complexity that comes with managing it. As grounds managers and their departments bask in the glow of summer’s sun, winter is slowly barreling toward them. 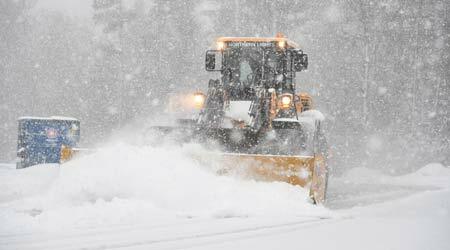 No matter how positive a manager feels about the department’s snow management and planning process, success will depend on building on last year’s efforts. The key to getting a head start is to perform a thorough assessment of requirements and desired outcomes, as well as to understand the way they affect the budget. Assessing requirements is a major undertaking, so let’s start with a three-part checklist, keep in mind this can be done whether the organization handles snow and ice management in-house, uses contractors, or employs both. The process can even help managers make the decision when to outsource more effectively over time. The first step is to assess and understand the items to consider related to the outcomes and expectations a manager desires during and after winter weather occurs, which is referred to as level of service (LOS). Managers need a description of the expected outcomes from the completed performance of snow and ice management services, including expectations for surface conditions in different scenarios. • decision-making power for additional services defined — if more resources are needed, who has authority. Alignment in these areas is critical and will help managers determine the amount of capacity needed to meet the level of service, either in the form of more labor and equipment investments or in outsourcing the work to professional snow contractors.